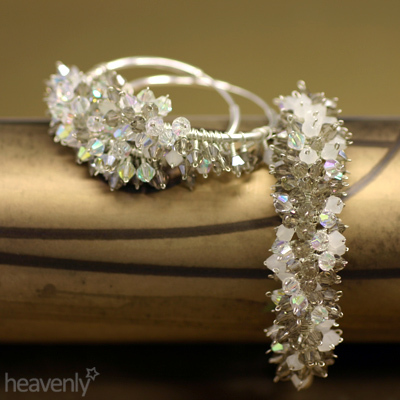 Heavenly, unique, handcrafted – it’s jewelry in a box! 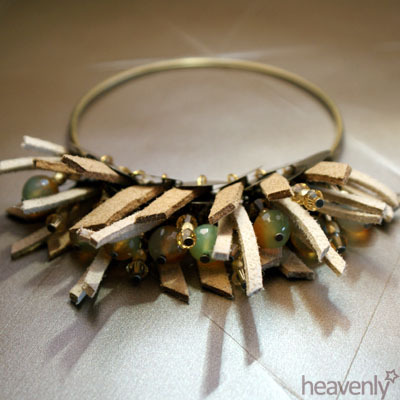 I´m Vanessa Martins, a portuguese artisan and Heavenly is my jewelry project. Since I was a child, I liked to explore materials and ideas by my one hands. I think the most exciting is to realise my thoughts through physical and material things, so creating always was a kind of communication, establishing contact with others. The most pleasent of all creative process happens when something that was just in my mind is now in someone´s hands. I started crafting jewelry as an hobbie some years ago. I like the concentration and patience that this kind of work requires and I see it as a challenge to improve myself as a person and a crafter too. The funny in this, is that I don´t wear jewelry but I love to make it. A jewelry tells much about one person, how she/he is and how wants to be seen. And my roll in this game is to contribute in that statment of identity, starting a story and let people to complete it. People, atmospheres and moods are basically my source of inspiration; every piece is thoughtfully created and has meaning and a story behind it. One of my newest creations is Midway Collection as concept that every places in the world are just midway from here. That´s how this story starts through this collection that talks about 15 diferent cities recreating their atmospheres, cultures and ambiences that will let you travel all over the world. This is a collection of earrings, that comes in a wood box, specialy designed for this theme that contains a short story of each city. One other creation is the Carmel Collection. Carmine, a strong and romantic color combined with the rustic effect of copper, presents through this collection, Carmel, the Lady Garden. Gentle, pure and passionated, she´s the main character of this history. A guardian of a garden that no one knows, but where plenty of blossom carmine grows everyday and she keeps it secretly, to make love bloom between us. The necklace and earrings represent Carmel and her secret. Made of carmine jaspers, swarovski crystal and small wood beads all combined with copper and gold wire, alluding to her flowers through the petals performed in this delicate work. I sell my crafts directly to some customers and through Etsy. 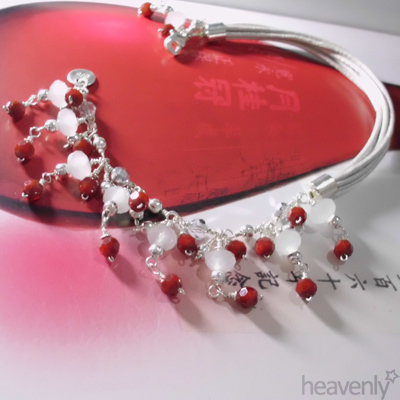 Handmade is a human process; exclusive and more worthy than mass production. It´s personal, with soul, and gently made by hands through care knowledge and pure devotion. Simply priceless! !